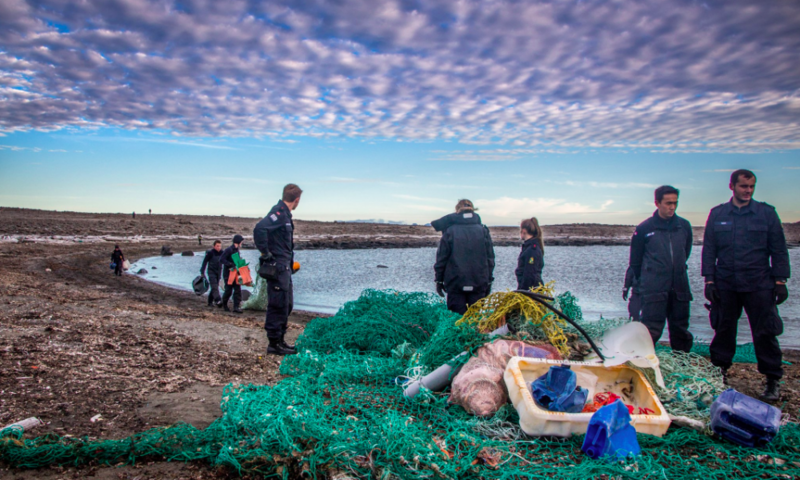 Norwegian Coast Guard crew shocked by the amount of plastic waste along the shore at a remote Svalbard island. Here on the Kiepert Island, the fishing fleet is the main source to the waste washed on shore along the beach. 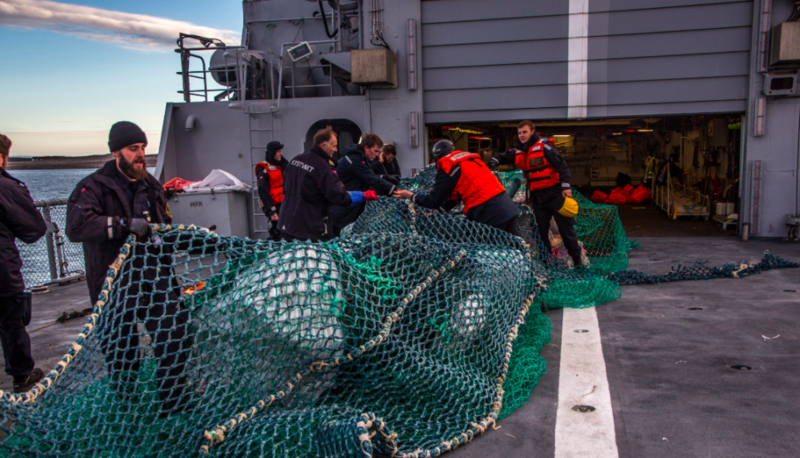 “In between timber and whalebones, we collected about six cubic meters of plastic, of which probably 95% origin from the fishing fleet,” the crew says. Fishing nets, plastic boxes, trawl nets, seine ropes, you find it all here. The Coast Guard members brought the waste on board “KV Nordkapp” for proper disposal when back in port on mainland Norway. The huge amount of plastic waste found on the shores of remote Arctic islands is a relatively new problem. 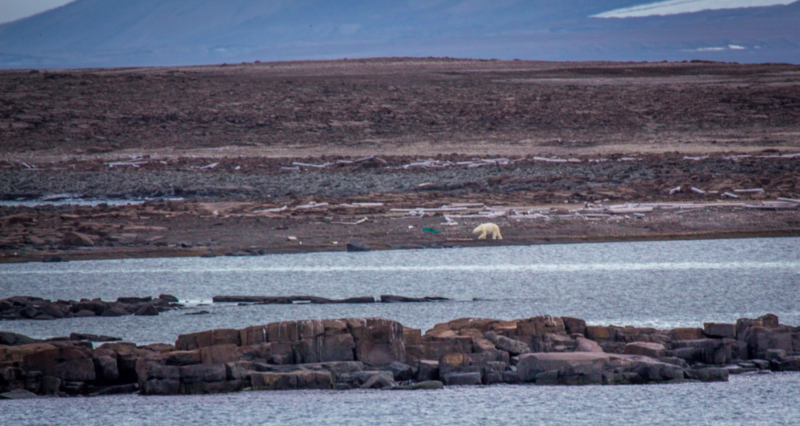 Earlier this summer, expedition cruise staffer Mats Forsberg told the Barents Observer that the changes are dramatic from the first times he sailed around Svalbard a few decades ago. “In the beginning, Svalbard was a pristine and beautiful wilderness. Today the archipelago has become a rubbish dump,” Forsberg explained. Morten Wedege, head of environmental protection for the Governor of Svalbard, highly appreciates the cleanup assistance by the Coast Guard crew. “Their willingness to spend time and resources to clean the beaches is highly appreciated by the Governor. Such contribution is important because they have the possibility to reach areas of the archipelago that would be difficult for volunteers to access,” Morten Wedege says to the Barents Observer. This summer, a group of volunteers from Longyearbyen has organized plastic waste collection in Isfjorden, the waters within reach of a few hours sailing from the town. “When the Governor travels around the archipelago, we see huge amount of plastic waste and other rubbish on many of the beaches,” Wedege tells. He says the Governor’s ship “Polarsyssel” participated when the inhabitants of Longyearbyen volunteered and collected about 85 cubic meters of waste over eight days. Morten Wedege considers beach cleanup to be everlasting as new plastics are all the time washed up on shore at Svalbard. “Therefore, we depend on all volunteers’ work by organizations, the tourist industry and others. Then we could hope all focus on plastics in the oceans finally will lead to less littering, and a more sustainable approach to how we use the oceans,” he says.